There's a completely new Subaru Forester on the way for 2009. With a similar mechanical layout but more safety and technology features, the Forester promises to be much improved. Rest assured, most of the boxiness will be carried over intact. The design of the 2008 Subaru Forester is far from fresh, but it’s one of few vehicles that’s both a practical, peppy city vehicle and rugged enough for mild off-roading. In putting together this comprehensive review covering the 2008 Subaru Forester, the automotive experts at TheCarConnection.com consulted with a number of review sources. To help you compare it with rival models, TheCarConnection.com's editors have driven the Forester and included their own expert opinion and driving impressions. The Forester is Subaru's small crossover utility vehicle; it received new front- and rear-end treatments as well as powertrain and other upgrades in 2006. The 2008 Subaru Forester has few additional changes; it carries over the styling that's rather rugged but plain and a boxy body that affords a lot of interior space. Responsive flat-four engines and nimble handling help distinguish the Forester from the rest. The standard engine on the 2008 Subaru Forester is a 173-horsepower, 2.5-liter horizontally opposed ("flat") four engine, with either a five-speed manual or four-speed automatic transmission. Top-of-the-line 2.5 XT models get a 224-horsepower, turbocharged 2.5-liter engine with either a five-speed manual or five-speed automatic. The torquey base engine in the 2008 Subaru Forester works better with the automatic transmission than in most rivals, with relatively smooth shifts and quick downshifts; the four-speed version includes an adaptive control shift system that automatically selects between normal and "sport" shifting modes in response to the driver's throttle input. Turbo models have surprisingly rapid acceleration; they can get to 60 mph in less than six seconds. Subaru's Variable Torque Distribution all-wheel-drive system is standard across the line. The 2008 Subaru Forester has a firm but relatively smooth ride, and it handles much better than its tall body suggests, with direct, communicative steering and good stability around tight corners. Yet the Forester has the ground clearance and toughness for modest off-roading, and the all-wheel-drive system is especially deft with mud; it manages just fine without a low range. The interior feels very spacious, thanks to the boxy body style and upright design. The driving position itself is very upright and affords a good view for parking and maneuvering, but the front seats are quite thinly padded; the backseat is also spacious, with plenty of headroom and just enough legroom for adults. The only issue is noise; road noise can be prominent on rough surfaces in the 2008 Subaru Forester, and there can be some wind noise. The 2008 Subaru Forester comes in a wide range of models, from the base X to the better-equipped Sports X, Sports XT, and top-of-the-line XT Limited. An upscale L.L. Bean Edition offers a two-tone exterior, self-leveling rear suspension, leather seats, and a MOMO wood-and-leather-wrapped steering wheel. The Sports 2.5X models get new six-spoke wheels and leather parking brake and shifter wraps, while the 2.5 XT picks up a roof spoiler and 17-inch wheels. Sirius Satellite Radio is available, but more contemporary tech options such as a navigation system or Bluetooth hands-free system aren't offered. Front side airbags and anti-lock brakes are standard on all Foresters, but electronic stability control is not available. Anti-lock brakes and front side airbags are standard. XT Limited models get active head restraints. The 2008 Subaru Forester has done very well in crash tests, with top five-star and "good" results from the federal government and IIHS for both frontal and side impact, respectively. The IIHS also rated it "good" for rear impact. The 2008 Subaru Forester is mostly utilitarian; buy it for that reason, not because of its slightly-better-than ordinary looks. Auto experts at TheCarConnection.com note some mixed reactions to the appearance of the 2008 Subaru Forester, with its rugged but plain styling and a boxy body that affords a lot of interior space. Observing that "it looks more like a tall wagon than a traditional SUV," Cars.com reports that the 2008 Subaru Forester "features flared front fenders and blister-type rear quarter panels" and "get[s] a new front bumper, black-painted headlight and taillight surrounds and silver-painted roof rails." In the opinion of Kelley Blue Book, "fresh front-end styling gives the 2008 Subaru Forester a bit more pizzazz," creating a "more unified, sophisticated, and more modern form." The reviewer at Mother Proof, however is more critical, stating this 2008 Subaru "powerfully reminds me of our old Turbo Hoover vac...the first tip off was the scoop on the Forester's...dippy exterior." When it comes to this Subaru 2008 interior, Subaru subscribes to Henry Ford's philosophy: "any color you want as long as it's black," according to The Auto Channel. On the positive side, Kelley Blue Book adds these Subaru 2008 "gauges and controls are ordinary but sensibly arranged for ease of viewing and operation." Edmunds notes that while the Subaru 2008 "plastics look a bit utilitarian, the leather seats have an upscale look." This is especially true for those who upgrade to the 2008 Subaru L.L. Bean Edition, which includes "embossed leather seats, a wood and leather-wrapped steering wheel with a matching shifter handle, and L.L. Bean-embroidered floor mats," reports Cars.com. The 2008 Subaru Forester may not be the best choice for off-road driving, but is up to most everyday, on-pavement jobs. 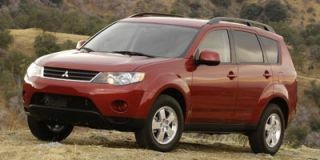 Once again, auto experts at TheCarConnection.com see mixed reactions on 2008 Subaru Forester performance specs, especially when it comes to the engine. Two Subaru 2008 engines are available; "the regular engine develops 173 hp," and a "turbocharged version that yields 224 hp," reports Cars.com. ConsumerGuide is the most critical, noting "non-turbo models have adequate acceleration away from a stop, but are tepid in highway-speed passing and merging, especially with cargo and several passengers aboard." While the turbocharged XT version delivers "plenty of power around town and on the highway...throttle response is softened by turbo lag." Cars.com also notes "a bit of turbo lag after pushing the gas pedal." Edmunds is more impressed: "even the base four-cylinder engine offers good punch, and the optional turbo engine delivers its power in a sudden, thrilling manner that competitors' V6 engines can't match." Kelley Blue Book reports that "with the turbocharged engine, Foresters are eager and frisky performers...acceleration is especially snappy." The test driver at Mother Proof describes 2008 Subaru performance as "herky-jerky, uncontrollable acceleration," however. Cars.com reports a "five-speed manual gearbox is standard on all models except the 2.5 X L.L. Bean Edition, which gets a four-speed automatic transmission." Turbocharged models are equipped with an available five-speed automatic. The Cars.com reviewer also notes "a Hill Holder clutch on manual-shift models makes it easier to start the car on inclines." The "manual transmission has short, sure shift action," according to ConsumerGuide; the "automatic transmission is slow to downshift," says Edmunds. All Subaru Foresters come with all-wheel drive, a system that is especially deft with mud and manages just fine without a low range. By current standards, this 2008 Subaru model's fuel economy is not stellar; in ConsumerGuide testing, "an L.L. 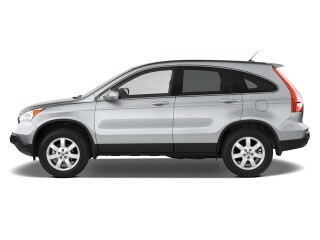 Bean averaged 24.2 mpg in mostly highway driving, while a test manual-transmission XT averaged 23.2." This is somewhat in line with EPA estimates ranging from 20/27 mpg (manual nonturbo) to 20/26 mpg (automatic nonturbo) to 19/24 mpg (manual turbo) and 18/23 mpg (automatic turbo). As is the case with many high-riding SUVs, the Forester’s "increased ride height, combined with all-terrain tires, can create unsettling moments, but that's only because its bountiful thrust encourages you to drive the wheels off the thing," according to Car and Driver, suggesting that "if you find a patch of dirt to play with, enjoy a chassis that treats oversteer as a tool, not an enemy." Cars.com notes that 2008 Subaru Forester "ride[s] pleasantly enough over smooth surfaces, but bumps and ruts can produce somewhat harsh reactions." 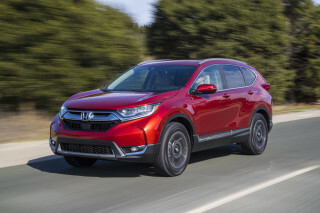 Likewise, ConsumerGuide reports "some jolting and body jiggle over sharp bumps and ridges, but overall, among the more comfortable compact SUVs, with good stability and control at highway speeds," but "with no low-range gearing, the AWD system is not designed for off-roading." It does, however, provide "terrific all-weather, on-road traction." Kelley Blue Book notes "on smooth surfaces the ride isn't bad, though some choppiness and road vibration might be evident." The Auto Channel reports the Subaru 2008's "fully-independent strut-type suspension has an appropriately firm tuning for a sport ride and very good handling." The 2008 Subaru Forester has ample people and cargo room, but makes little effort to look ritzy or keep a lid on its wind and engine noise. The 2008 Subaru Forester interior values space and efficiency over luxury. Cars.com reports that the Forester Subaru 2008 features "sport bucket seats in the front and a 60/40-split folding rear seat [that] can accommodate up to five occupants," adding that "space is ample in the front and adequate in back, with abundant headroom and toe room, though knee space is less bountiful." ConsumerGuide points out that the Subaru 2008 "steering wheel tilts but is not telescopic, leaving tall drivers with a long reach to the steering wheel," adding that rear "legroom is a Forester negative, as it's tight even with the front seat set well forward." Edmunds notes this as well: "the rear seat, in contrast, has tight legroom for taller adults...and a somewhat unsupportive bottom cushion." The 2008 Subaru Forester does better when it comes to cargo space; according to ConsumerGuide, the 2008 Subaru cargo area is "usefully spacious with the rear seatbacks up, expansive with backrest folded," adding that a "large tailgate opening and low liftover allow[s] for easy loading/unloading," while the cabin "has plenty of storage spaces but none are very large." Reports Edmunds, "cargo space...is competitive with 31 cubic feet of cargo space with the rear seat upright, 69 when folded." The base 2008 Subaru Forester model is impressive, according to Edmunds, reporting a "well-appointed interior with tight build quality and simple controls." Higher-level trims offer more amenities; "leather and soft-touch plastics dress up the cabin of the L.L. Bean and XT Limited," notes ConsumerGuide, adding that decor on the other Subaru 2008 models "is unremarkable, though appropriate for the price." Most sources agree, however, that noise levels on this 2008 Subaru model can be excessive; while Cars.com reports that "some driveline noise occurs during acceleration," ConsumerGuide attests that "Foresters are quiet around town, but wind and road noise rise markedly with speed to become tiresome on long highway trips." However, Mother Proof contends that "there is so much road noise, my 4-year-old complains that the car is too loud...I keep trying to roll the windows up because it sounds as though they're all cracked about a centimeter, but they're already rolled up...I can't stop the noise." The 2008 Subaru Forester offers superior levels of safety, lacking only curtain airbags. The 2008 Subaru Forester scores well in crash tests and offers plenty of standard safety gear. Cars.com reports Subaru 2008 "dual-stage front airbags, side-impact airbags, front active head restraints and antilock brakes are standard, [and] the ABS system has electronic brake-force distribution for better front and rear proportioning"; however, on the 2008 Subaru, "side curtain airbags are not available." Edmunds also notes that "traction and stability control come exclusively on turbo models with the automatic transmission." ConsumerGuide adds "a high driving position, large windows, and thin roof pillars make for great outward visibility." The 2008 Subaru Forester puts its emphasis on utility features, not on high-tech and entertainment gadgets. 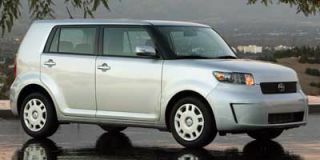 TheCarConnection.com team of experts are mildly impressed with the list of 2008 Subaru Forester standard features; options are more noteworthy. Cars.com reports 2008 Subaru "trim levels include the base 2.5 X, Sports 2.5 X, upscale 2.5 X L.L. Bean Edition, Sports 2.5 XT and 2.5 XT Limited," and that "standard [2008 Subaru Forester] features on the 2.5 X include power windows and door locks, keyless entry and a CD audio system." Kelley Blue Book adds that the Subaru 2008 also comes standard with "air conditioning [and] an AM/FM/Weather-band stereo." Kelley Blue Book declares that this Subaru 2008 model is "chock full of options." Edmunds states "the first of three upgrades is the 2.5X Sports version, which loses the wiper de-icer but adds alloy wheels, black body accents and silver roof rails, leather trim for the steering wheel and shift knob, automatic climate control and a seven-speaker, MP3-capable stereo with a CD changer and auxiliary input jack...the 2.5 X Premium loses the upgraded speakers but gets back the wiper de-icer. The Premium then adds bigger side mirrors with turn-signal repeaters, rear disc brakes, a limited-slip rear differential, a moonroof, a power driver seat and heated front seats and mirrors." The top-of-the-line 2008 Subaru 2.5X is the L.L. Bean model, which "comes with leather seats, a leather-and-wood steering wheel and shifter, the upgraded speakers, an auto-dimming rearview mirror with compass and sturdier plastic trim in the cargo bay," Edmunds says. Mother Proof notes that the Subaru 2008 "roof rack crossbars are removed as standard equipment, but are available as options." Sirius Satellite Radio is available, but more contemporary tech options such as a navigation system or a Bluetooth hands-free system aren't offered.